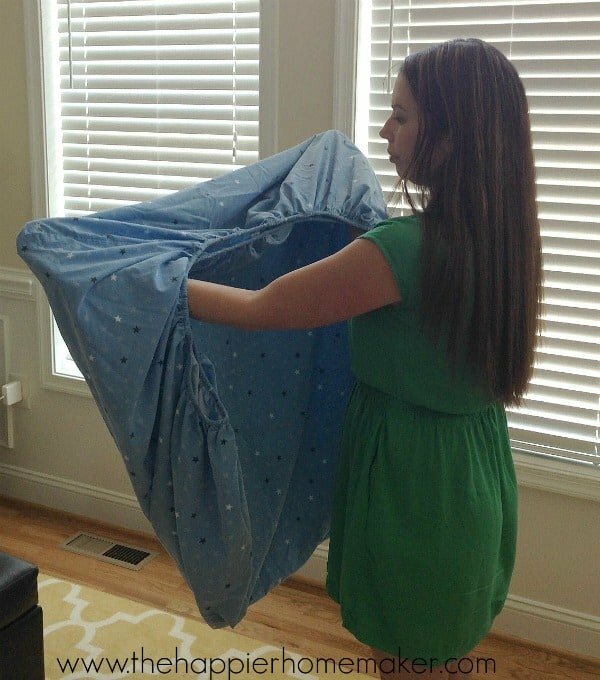 Update 2018: This blog post showing How to Fold a Fitted Sheet has been so popular that I’ve updated it recently with this video tutorial in addition to the video below from 2014. One of the ways we save money when we move is using our linens to pack fragile items…I’ve always washed them as we put them away at our new home so it just makes since to save money (and the environment!) by reducing the amount of packaging and bubble wrap we use each time the Army sends us somewhere new. As we’ve been unpacking these past two weeks and doing laundry we’ve been washing and folding a lot of laundry. 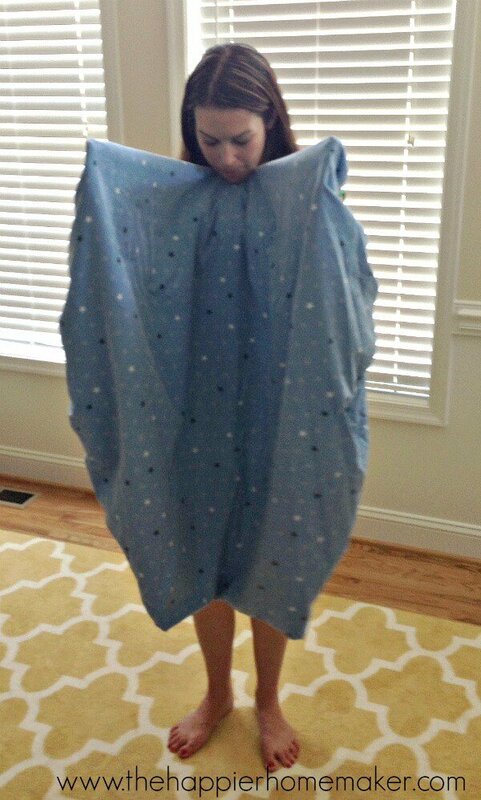 The other day I came upon a blob of a sheet sitting on my bed. I asked my husband if he folded it like that or it just got set down out of the dryer in what looked like a meager attempt at a rectangle. It was just then that I realized that he (and a ton of other people out there apparently) didn’t know how to fold a fitted sheet! I must be a lucky one that my mom taught me young but just in case anyone else doesn’t know I thought I’d share today! *Updated February 2016-I’ve added a video to make it a little more clear! Start with your sheet inside out with your hands in each of the corner pockets on the long side of the sheet. 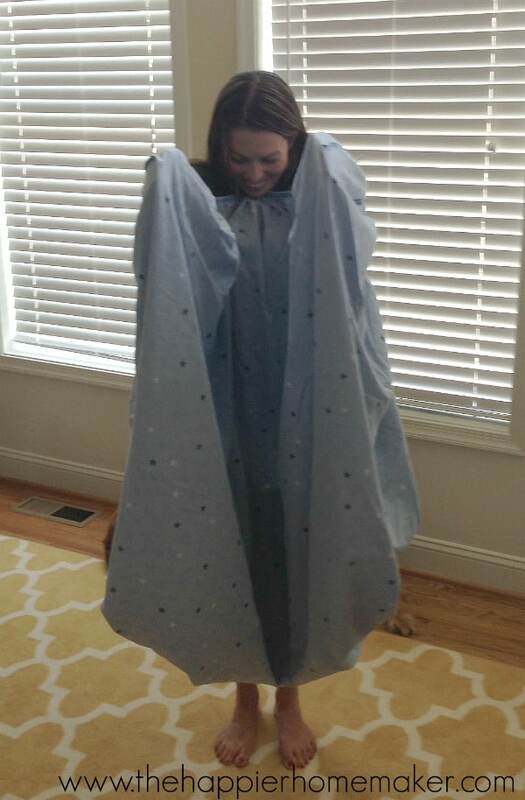 Use your chin to hold the middle of the sheet and bring your hands together. 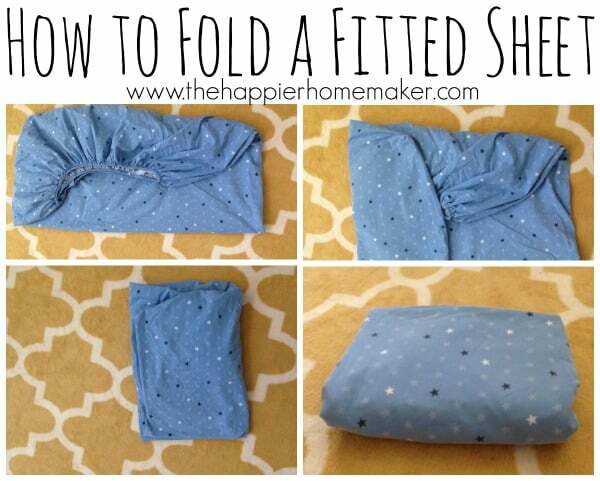 Fold one corner over the other. You should now have a somewhat 90 degree corner on the side of your pockets. 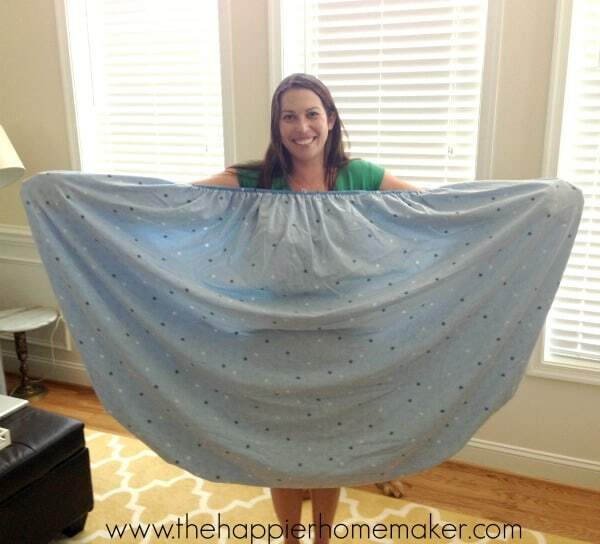 Turn your sheet and put the corner pockets one inside the other on the opposite end of the sheet. You now have something resembling a true rectangle. Yay, you’re almost finished! of corners over the other. It’s at this point I move to a flat surface to finish folding. Straighten the corners when you lay it down to make it as cleanly rectangular as possible. 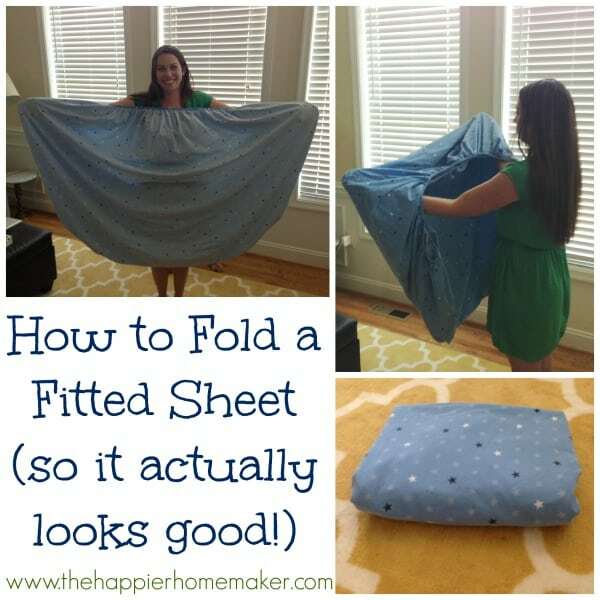 Fold the sheet into thirds starting with the “frumpy” end first and then, depending on your sheet size fold into halves or thirds to finish it up. That’s it! 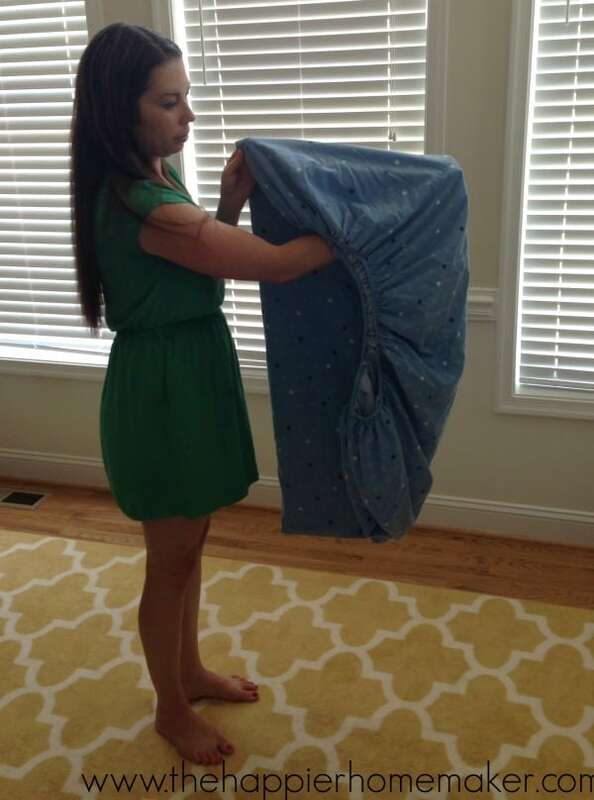 You can now amaze your friends and relatives with your fitted sheet folding perfection! 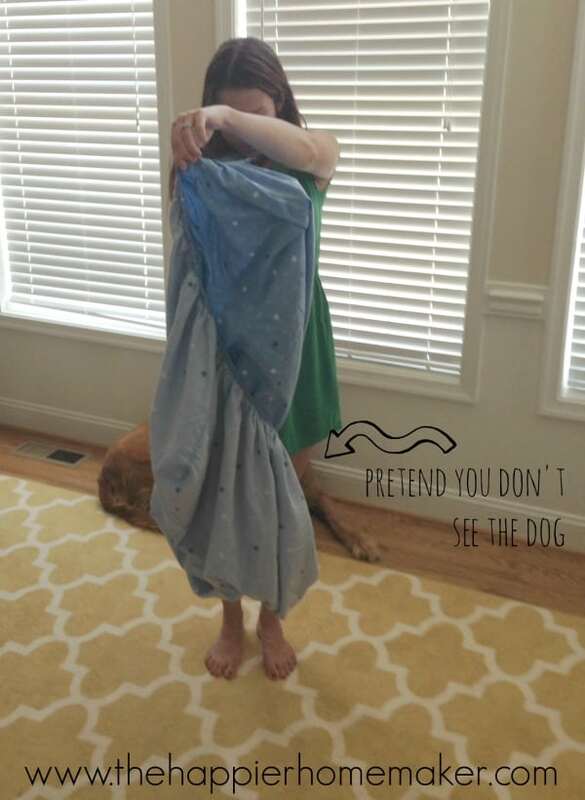 So I have to know…were you taught to fold a fitted sheet growing up, learned it on your own, or have you been living in fitted sheet chaos all these years? Let me know in the comments! Love the video! 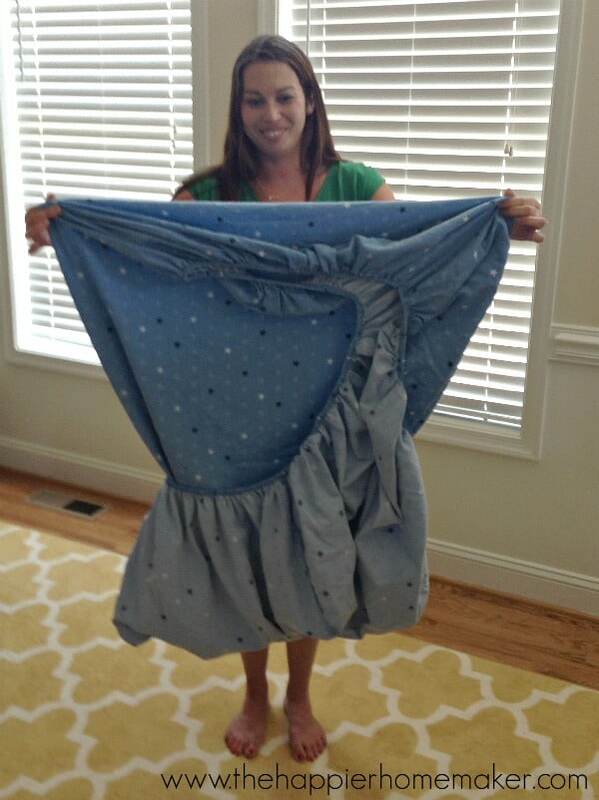 Thank you for being a genius, I’ve struggled with folding fitted sheets for 31 years! Never again thanks to you! lol. I wouldn’t know if someone hadn’t taught me too Karissa! This was the first result on Google! Congrats! I’ve seen this done on TV, and every time I see it I think “Oh, I get it now. I can definitely do that”, but I never really could. Just did it for the first time! Made my backup sheet set look like new!